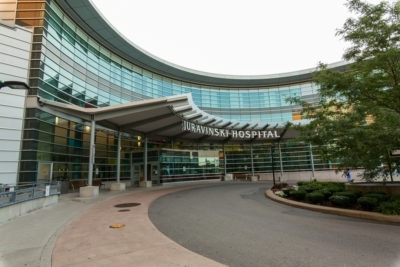 The Geriatric Rehab Unit located on M3 at the Juravinski Hospital cares for older adults with complex medical needs. Our team specializes in seniors’ care and will provide an assessment and individualized treatment plan in hospital, before the patient returns home. Patients admitted to M3 can expect to stay for about 2-3 weeks, depending on their individual rehab care goals.